Get Kids Hooked on Fishing is set for September 16 th , 2018 at Turtlehead Lake in Orland Park, IL and we’re looking for volunteers, community partners and sponsors. Last year, the event taught over 250 children how to fish and raised over five thousand dollars for charity. Hosted by local resident and avid fisherman Kevin Miller, this event brought together community partners, local families and businesses from the south Chicago land area with one mission in mind – to teach kids how to fish and the values that go along with it. Join us for a fun and family friendly event while you learn how to properly use fishing gear, tie hooks, bait hooks, safely remove fish and educate them on the rules and regulations. We are also expecting special guests from Jim Nesci’s Cold Blooded Creatures Reptile Show, bounce houses from Xtreme Bounce House, Joey’s Red Hot’s food trucks, face painters, balloon artists, a climbing wall, music & entertainment, raffles, split the pot, giveaways, bean bags, and a photo booth. things like patience, determination and a sense of accomplishment when they succeed. 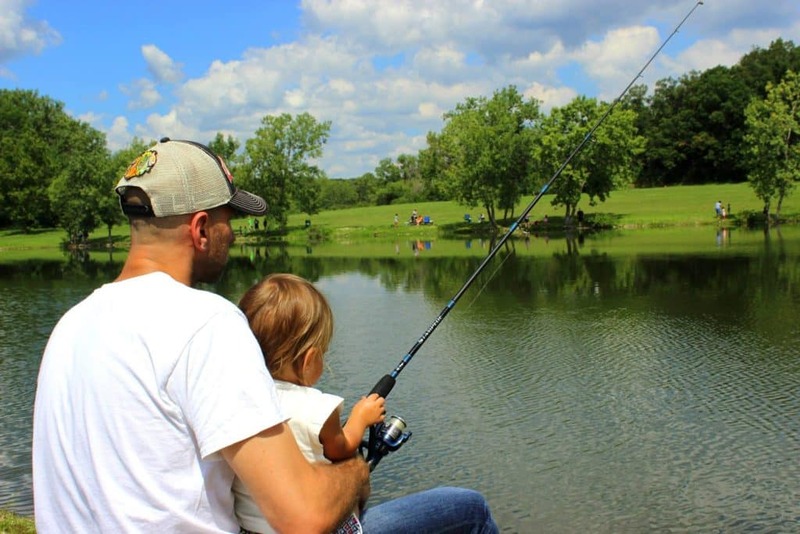 Our goal is to help educate children and their parents on the proper ways to successfully fish and also instill the ethics and morals that go hand in hand. Plus, this event benefits the Kids Fit Foundation. This event proved to be a fun, relaxing and educational day for the kids and also a great opportunity for parents and kids to meet fellow fishing enthusiasts for future fishing outings.